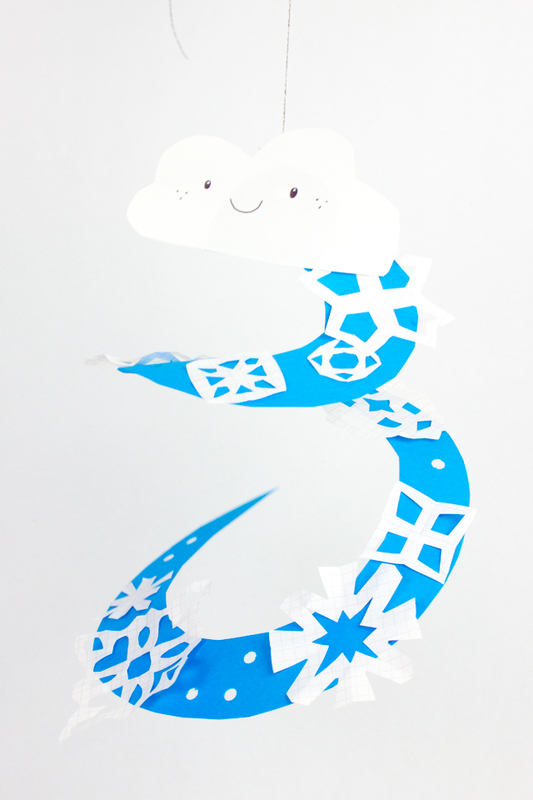 Let's Make a Snowy Paper Mobile! 2. Cut out snowflakes and then glue them on. A. Your snowflakes don't have to entirely fit on the blue spiral. But when you do glue them on, make sure you only glue on a portion of the snowflake and not the whole thing. You need to make sure the spiral still can dangle! B. 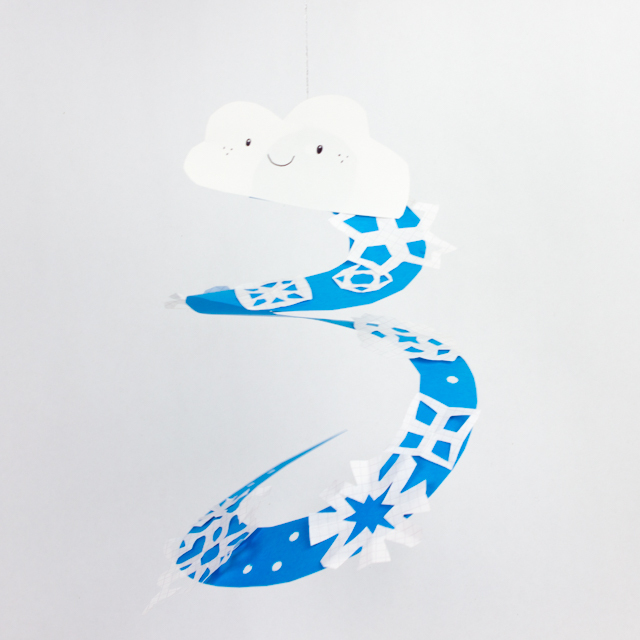 Here's a fun alternative- Instead of gluing the snowflakes on, why not try dangling them off the blue spiral? 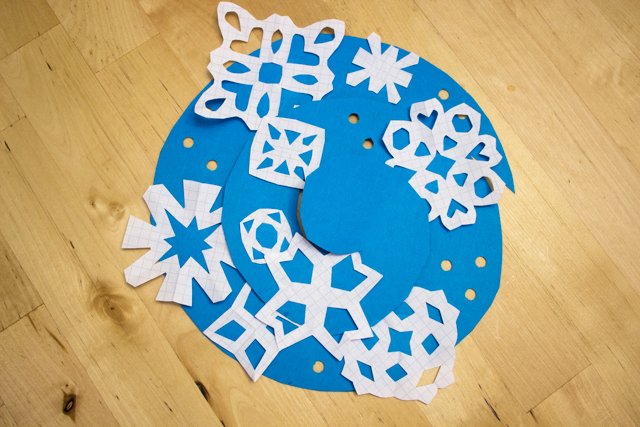 You can hole punch through the spiral and then tie on snowflakes so that they appear to be really "falling." 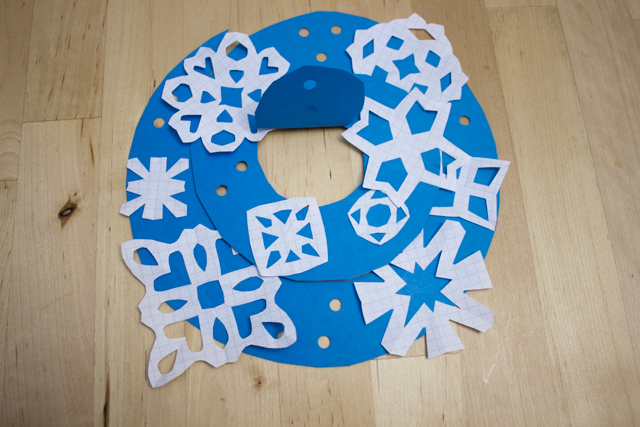 C. Here's another alternative- Try sticking snowflakes on the top AND bottom of the spiral. I noticed that we couldn't see as many of the snowflakes when we hung the mobile up. That's because I only could see the bottom of the mobile. It would have been nicer to glue some snowflakes on the bottom too. 3. Use a hole punch to punch through other portions. This adds a lacy touch! 4. 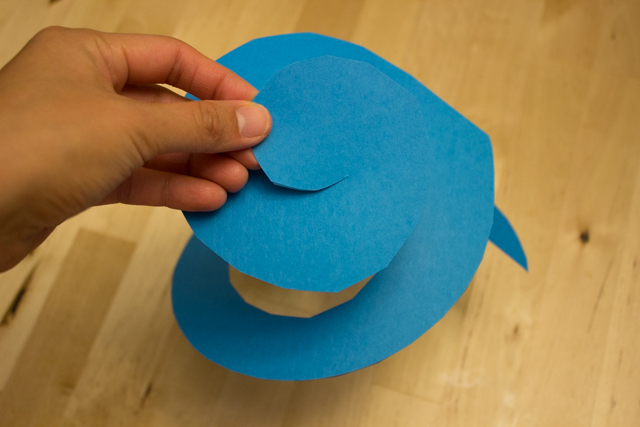 Hole Punch the middle of your spiral and then fold it up. 5. Cut out a piece of string and tie it through the middle hole. Then, cut and glue on a little cloud. And then hang up your mobile somewhere fun! 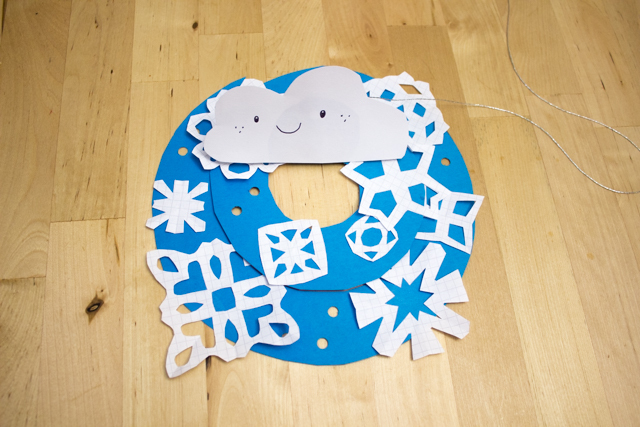 Looking for More Kid Winter Crafts? We've got A TON of easy and family friendly crafts on the blog!